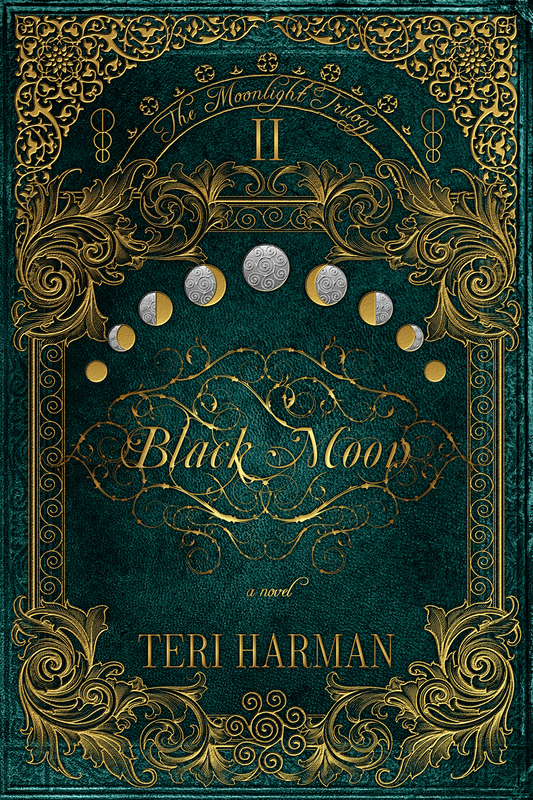 Teri Harman’s Black Moon, book two of the Moonlight Trilogy, continues the story of Willa and Simon, young adults taking those first steps into a grown-up world of magic, witches, soul mates, trials, and too many talents. It’s a fast-paced and engrossing read that expresses all the confusion of perfect love that isn’t perfect, leaving home to share one’s life with another, completing magic trials to prove one’s worth, and, oh, saving the world. I won’t mention the guilt Simon oozes because of the deaths in Blood Moon (book one) or Willa’s anguish in wanting to save someone who won’t let her in. I won’t say a thing about the balance of light covens and dark covens and how truly twisted the dark can be when it seeks to control the powers of the earth on the night of the black moon. And I can’t tell you about the whole terrifying plot around being extraordinarily gifted magically and the suspicion and doubt having too much talent can cause. I can’t tell you any of these things because that would Ruin the Story. 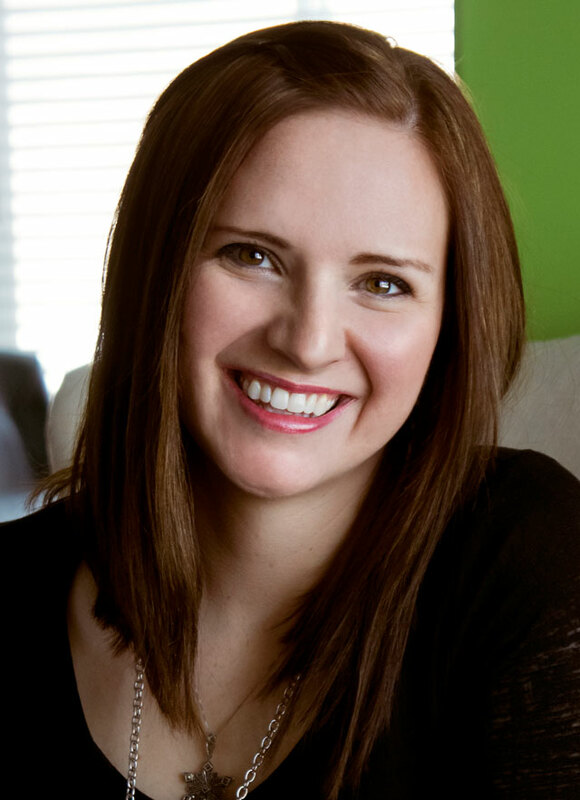 And this is one you’ll want to read for yourself. 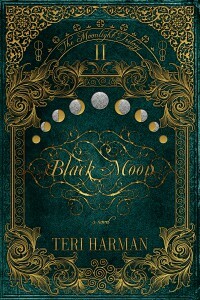 Black Moon by Teri Harman is a New Adult paranormal thriller with a romance twist sure to delight readers 16 and older. Published by Jolly Fish Press, it’s available in trade paperback and eBook from Amazon, Barnes & Noble, and other purveyors of fine books.